Most of those who read this blog are Christians, and many of you teach or preach. You may do so on a weekly basis or fill in occasionally for the regular teacher or preacher. Whatever your situation, you have an important task. People are looking to you. The truth is that if they have heard you before, they will either anticipate your delivery or dread it. I am with you in this. Some of us have had the privilege of being trained to do what we do, while others are willing servants who have had no training. I have heard those with no formal training supersede those with training in presentation. Why is that? Isn’t training a guarantee for great delivery? I would like to share a few things that I have learned along the way about delivering God’s Word that can make or break the teacher. People will forgive inadequacy if they get a glimpse of the heart of the teacher. I have heard those who do not necessarily know the mechanics of organizing the material, but they love their audience and their audience knows it. The reverse is true also. You can be a skillful presenter who cares nothing for people, and an audience will have turned you off before you begin. I have frequently carried away nuggets of truth from someone who may not have the skill but has the love. Do your absolute best to give people some substance! They want something to take away from your lesson. However, they don’t want you to flaunt your hours of study, your mastery of Hebrew and Greek, or your massive English vocabulary. Their time is valuable, so give them some substance. Make the substance applicable! If you simply give a bunch of historical information about biblical culture and give them no life application, how do you expect a changed heart? I hear small group leaders and pastors complain about people who won’t do the work of the Lord while they don’t teach people how to apply the Bible. I was taught to give an explanation, illustration, and application. Share from your own experience! People can hear a message or lesson on patience and walk out feeling like a failure if you as the teacher do not share your shortcomings and walk this journey of becoming more Christ-like with them. Leave room for participation! In our church plant, we are very participatory. You as the teacher need to have control of the level of participation to avoid anarchy, but give people a chance to make a contribution if the setting allows for it. There is a time and place for lecture, but it is awesome to see people come alive when they can engage and be engaged in the process. The key is balance! Give them substance while giving them application. Teach them the context while being relevant. Illustrate it with something current that can give them a better understanding of something that happened a few thousand years ago. Mix up your approach. Keep your audience wondering what you’re going to do next time. ← That’s Not My Job! Paragraph 2 really struck me. That is so important. Our Sunday School lessons are a printed curriculum we use and are pretty excellent overall. 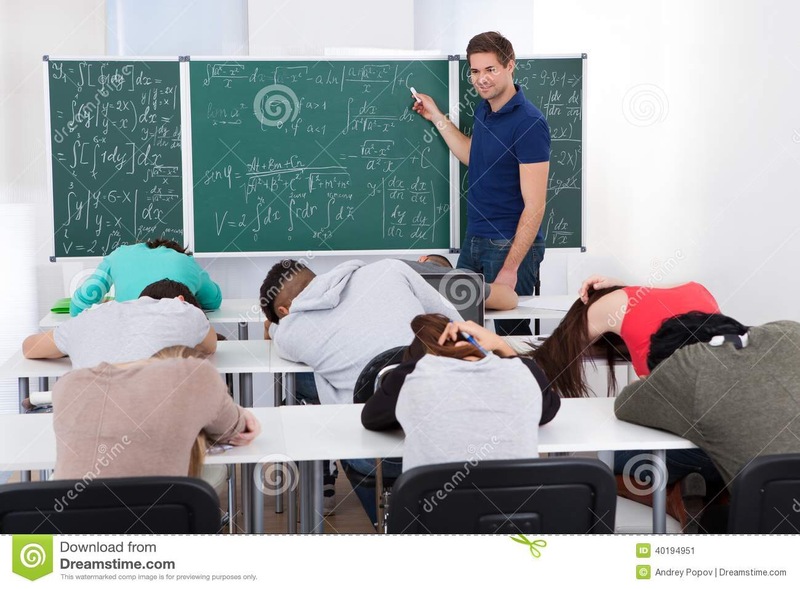 Lot’s of people have studied a bit before they show up for class, so a teacher has to bring something extra to the table, or they are really wasting people’s time. I have been in situations where the teacher read the material almost word for word. You are very correct in stating that we need something extra to bring to the table. That is a huge pet peeve of mine. I actually wrote my thoughts on this very thing, if you don’t mind a link. You were much kinder than I was LOL. Nearly all who are trained within seminaries nullify the word of God by their traditions (see Jesus’ strong words of Mark 7:6-13). This is key! Bottom line? True ministers of the gospel are home-schooled by the Lord; they are those who humble themselves before Him and love NOT the world and its ways (including its schools of theology), but actually RECEIVE the discipline of the Holy Spirit, die to self, and let Christ live and teach through them. Jesus Himself explained the Holy Spirit is to be our teacher in John 16:7-15; this was reinforced by John in 1 John 2:20, 24-27. Must read for all preachers. You are welcome Sir. Thanks for the Word too. Get a glimpse of the heart of the teacher- what a true and powerful statement! I’ve hid behind my material and authority only to utterly flop on many occasions! Thank you for the reminder. I’ve been there too. Lesson learned! Thanks for the tips. Remain blessed.